Austin Albert Mardon was born on June 25, 1962, in Edmonton, Alberta. He received his Bachelor of Arts degree from The University of Lethbridge in 1985, with a major in Geography. 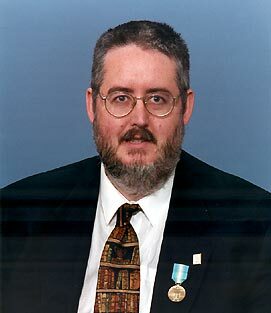 He went on to receive a Masters of Science degree in Geography from South Dakota State University in 1988, a Masters of Education degree from Texas A&M University in 1990, and a PhD in Geography from Greenwich University, Australia in 2000. Dr. Mardon is the author of more than 20 books and 110 scholarly publications. His works have dealt with such diverse areas as astronomy, Alberta history and Antarctic research. Some of his works were co-authored with his father, Dr. Ernest Mardon, who is a retired professor of The University of Lethbridge. Dr. Mardon explored Antarctica for two months as part of the United States NASA/NSF-sponsored Antarctic Meteorite Recovery Expedition in 1986. He investigated meteorite impacts only 170 km from the South Pole. This accomplishment is even more remarkable when one realizes it commenced shortly after he completed his studies at The University of Lethbridge, at the age of only 24. Dr. Mardon has since become an elected International Fellow of the Explorers Club of New York for his field research, one of only two such members in Alberta. He is also a director of the Antarctic Institute of Canada. Dr. Mardon has achieved respect in the international academic community for his research, and has listings in several biographical dictionaries including Who's Who in the World, Who's Who in Canada, and the International Biographical Dictionary. Dr. Mardon was diagnosed with schizophrenia in 1992, at the age of 30. Since that time, in addition to continuing his academic work, he has tirelessly worked to help others in Alberta with schizophrenia and mental illness. He is co-Chairman of Unsung Heroes, an Edmonton self-support group for people with schizophrenia. He has also provided leadership as a member of the Board of Directors on both the Edmonton and Alberta chapters of the Schizophrenia Society of Alberta. In addition to his many other honours, Mardon received a personal audience with the Pope in Rome in 1996 and the Governor General's Caring Canadian award in 1998. In 2001, he received two major awards: the Flag of Hope award from the Schizophrenia Society of Canada, and the International Intellectual Award from the International Biographical Centre. John Gill, Vice-President of The University of Lethbridge Alumni Association, says Dr. Mardon's diverse range of excellence made him an obvious choice for Alumnus of the Year. "What particularly struck us about Austin is his broad and diverse range of interests. A review of his accomplishments makes it clear that he is a scholar, and explorer, and inspiration and a role model. As a University which has always strived to promote excellence, The University of Lethbridge can take great pride in Austin and his achievements. His combination of academic success and community service is a rare and enviable one." Dr. Mardon's remarkable achievements in academic study, scientific exploration, published research and public service show he is clearly a worthy recipient of this award. The University of Lethbridge Alumni Association is proud to recognize the many contributions of Dr. Austin Mardon by awarding him the Fall 2002 Distinguished Alumnus of the Year Award.